Due to the sheer number of models in gifted education, it was decided that five models would be discussed during the course of our hour-long chat. Additional models will be briefly covered in this blog post. A full transcript of the chat may be found at Storify. 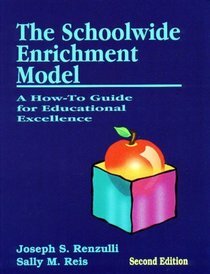 Renzulli’s School Wide Enrichment Model (SEM) ~ a widely used model which appeals to a broader definition of giftedness. 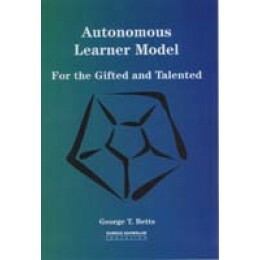 Betts’ Autonomous Learners Model (ALM) ~ a self-directed learning approach. 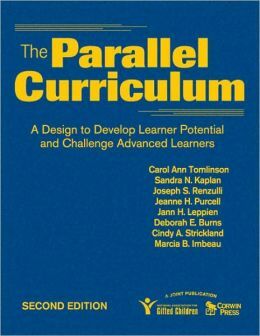 VanTassel-Baska’s Integrated Curriculum Model (ICM) ~ specifically high ability learners. Gagné’s Differentiated Model of Giftedness and Talent ( DMGT) ~ distinguishes between natural ability & talent development. Gentry’s Total School Cluster Grouping (TSCG) ~ employs differentiation within the framework of inclusion. The first question was to ask, “Why there are so many different models in gifted education?” The consensus was that a wide variety of models allowed for greater choice to meet the needs of gifted students. It was also pointed out by several people that because there is no one definition of ‘giftedness’ that different models responded to particular definitions. Different models appeal to different school settings – rural, urban, suburban, region of the country. Each model’s perspective may be from different vantage points – intellectual, social-emotional, neurological (Gifted Challenges). Certain models seemed better suited to either the elementary or secondary level. In fact, the moderator pointed out that several of the models had modules specific to each level. Some models of gifted education are geared toward self-contained classrooms more common in the lower grades K-3. Other models are been adapted for content specific areas of instruction. Factors that might be considered to ensure the success of any chosen model included flexibility; availability of professional development so that all stakeholders fully understand the program is critical; sufficient budget to implement a new program; a mind-set that is supportive of gifted education in general; as well as parent and community support. Would it be better to simply consider acceleration or multi-age classrooms as opposed to implementing a specific model? Academically, acceleration is an excellent option; other considerations–maturity, siblings, sports–still play a role. In the final analysis, the most important factor voiced by most of our chat participants was CHOICE! Every child is different and every child should have options to choose from that best meet their individual needs. 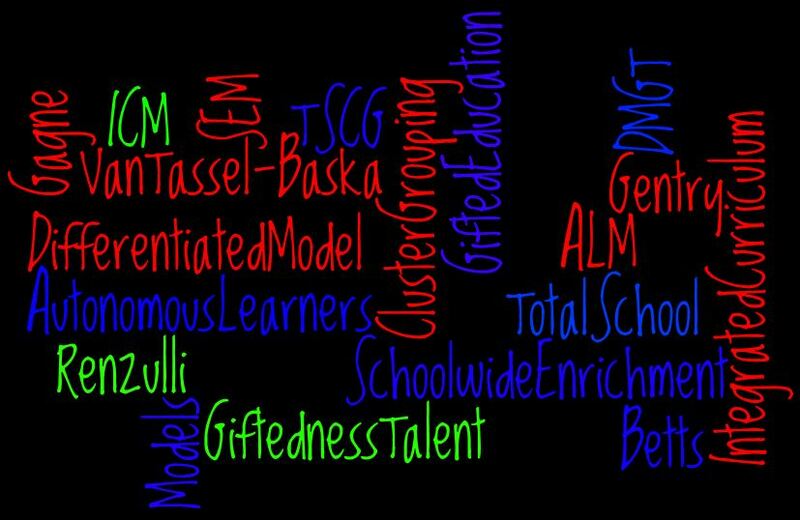 Posted on August 6, 2014, in gifted education and tagged acceleration, Autonomous Learners Model, Differentiated Model of Giftedness and Talent, Francois Gagne, gifted, gifted and talented, gifted education, gtchat, Integrated Curriculum Model, Joseph Renzulli, Joyce VanTassel-Baska, Marcia Gentry, multi-age classrooms, multiple intelligences, Purdue Three-Stage Enrichment Model, Sally Reis, Schoolwide Enrichment Model, TAGT, Talents Unlimited, Total School Cluster Grouping, Twitter. Bookmark the permalink. Leave a comment.